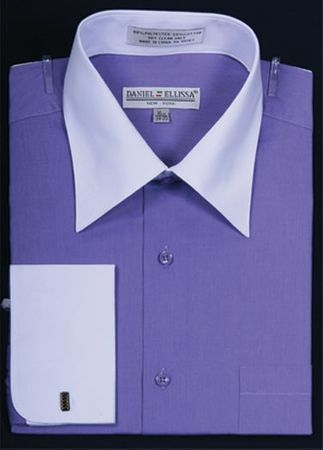 Give people something stylish to look at by wearing 2 tone style dress shirts. Featuring a white collar and cuffs, these classy looking Italian design dress shirts have the style that the stylish dress man craves. This lavender 2 tone dress shirt will really set you apart from men who don't know how to dress stylish with the white collar and cuffs.